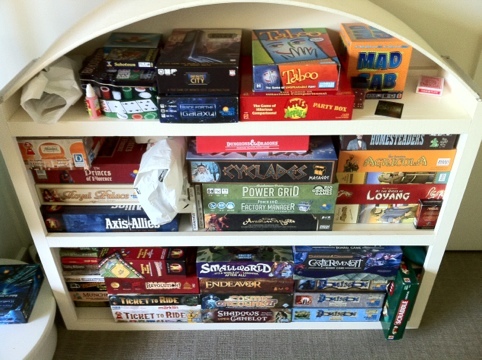 My Game Shelves (circa December 2011) | Action Points! 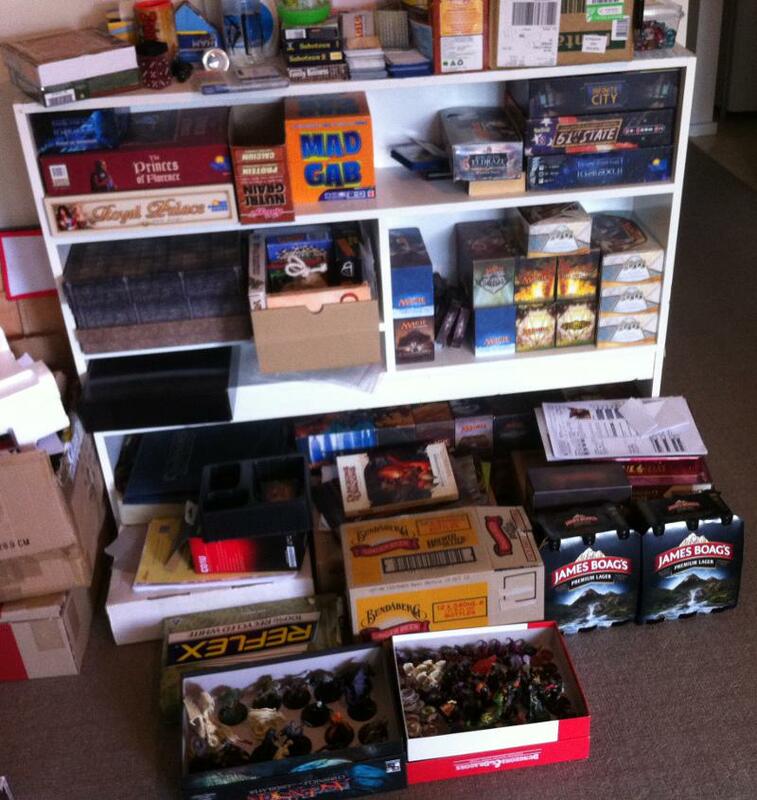 The main shelf (and floor): Home to all the “big” board games. The auxiliary shelf (and floor part 2): Home to mainly card games, stacks of TCG cards and D&D ephemera. Oh and beer, apparently. Don’t judge, the beers were leftover from a party. My good beer has its own shelf. And there you have it. 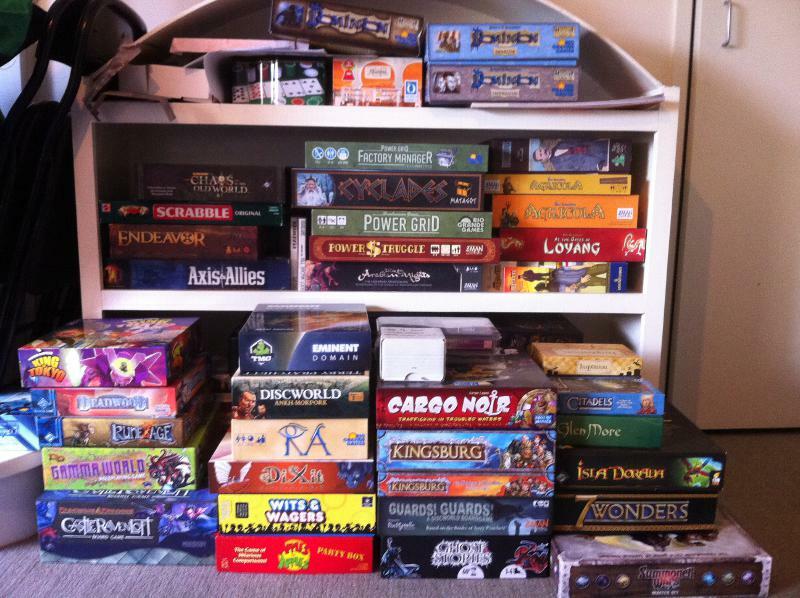 A peek into the state of my board game collection circa December 2011. Remind me to do another post next December to see how it grows.